Over the last few decades particularly there has been a disturbing trend that has mushroomed; that is the “Christian celebrity” scene. This in turn has led to something I call “celebrity led Christianity” which has crept in to the Church and has caused some people to become more celebrity led in their Christian walk than Spirit led. In many ways celebrity status Christianity it is nothing new – the Christians in Corinth had the same problem saying “I am of Paul, I am of Apollos” (1 Cor 1:12). Yet during the last half century the tendency to elevate people and their teaching to celebrity status has reached a new high-water mark. This has, I believe, largely happened because of the increase in media saturation particularly through the Internet; not to forget the devils purpose in it of turning people away from their priority of loving and following Christ first and foremost. Why does someone become a favourite – usually because they preach what we believe or because they bring us fresh revelation. If they preach what we believe then the trap is that it can subtly feed our ego and sense of pride. And if they bring fresh revelation then the feelings of thankfulness and emotion we have because of that can sometimes causes us to focus more on that person than on the Holy Spirit who is in fact the one who leads and guides us into truth. Liking what someone shares and liking them as a person isn’t wrong – it’s when that liking slips over into a subtle idolatry that it’s wrong. While it is not always bad for preachers to become popular there are inherent problems in that. One is the problem of preachers believing their own PR and getting sucked into the celebrity trap. This has in some cases led to pride and fleecing the flock with some preachers charging thousands to speak in a church meeting or conference either because they believe they’re worth that much or they have big money hungry organizations to keep running. The size of an organization is not necessarily a indicator of it’s effectiveness in the Kingdom. Also they can fall into the trap of believing that they have the monopoly on “their revelation” or on the truth. Another problem comes on our end, when we accept everything someone says simply because they are popular, one of our favourite preachers or are our Pastor. The more popular someone is the more influence they have over people and there is a danger in this because they are not infallible, they do not always see things correctly, they are growing in understanding as well as character – as we all are! Don’t fall into the trap of accepting blindly everything your favourite preacher says just because they say it. We all see things through the lenses of our current theological understanding and preachers are no different; they all preach from their place of current understanding and revelation. That understanding should develop and change as we gain more understanding and the Lord gives us more revelation. In five years time I may look at some things I believe now and be less convinced of them or I may be more convinced of them – depending on the fresh revelation and understanding that the Lord has given me. We must make sure we don’t fall into the trap of believing that our current understanding will be our only one on any subject – it can and should change as we grow in understanding and maturity. In this media driven world we live in it is so easy to fall into the trap of relying on what our favourite preachers say without checking it out in scripture for ourselves or asking the Lord about it. In some cases we are even taught not to question those who hold some sort of position of authority. Asking questions is sometimes seen as sowing discord or being rebellious or even worse leading to someone being labeled as having a Jezebel spirit; the amount of times I’ve seen that happen over the years isn’t funny! The reason why it is seen like that is often because a leader was themself taught never to question authority figures or sometimes because of insecurity in that leader’s life. An insecure person will sometimes be tempted use their position to prove or bolster their sense of worth. So if their teaching is questioned they will sometimes see it as a personal attack or an attack against their credibility and not see it as what may simply be a very reasonable enquiry. By our fascination and promotion of Christian celebrities we are in danger of building a Church that relies mostly on other peoples revelations, that no longer thinks for itself or asks the Lord for direction to the extent that we should. In fact it may be hard for many of us to accept that our favourite preacher has somehow become someone of celebrity status to us and a subtle idol instead of being simply a brother or sister who is on a journey of progressive growth and revelation just as we all are. There are people that are gifts to the body – the five-fold ministry is a part of that, but even they should keep pointing you back to Jesus as the focus of your attention and not try to draw you to themselves. Their job description is to train the body for it’s work of ministry, not to just do the ministry themselves, become a celebrity and build a following. They are given to train people in how to hear from the Lord for themselves and follow him, becoming good Kingdom representatives and sons and daughters who grow into maturity, releasing heaven into earth, bringing freedom wherever they go. If they are not doing this, then they’re possibly not a real five-fold ministry person or they have gone astray from their calling. Today do take the time to do a spot check. Are there those that you follow who have become someone of celebrity status to you? Do you accept whatever they say without checking it out for yourself; if you do then determine to change that. You have the freedom to question and to grow, the liberty to think for yourself and to learn how to function as a mature son and daughter of God, walking a Spirit lead life not a celebrity led one. By all means, honour people and their gifting but don’t make them something they were never meant to be. Don’t fall into the ‘celebrity status Christian’ trap. Jesus’ cry from the cross has for centuries been interpreted by the church to mean that the Father forsook Jesus, turned his face from him and left him to face the cross by himself. But is that true? Did the Father actually forsake Jesus and turn his back on him? As we read those words of Jesus in scripture a seed question becomes planted in our minds – if he forsook Jesus will he turn away from us? I want to look at both of those things in this article – did he forsake Jesus and will he forsake us? If we take the words of Jesus at face value we might believe that God abandoned Jesus on the cross, however if we look at other scriptures and understand some cultural things we actually begin to see something different. In scripture we find quite a few verses in the Old Testament that seem to indicate that while God promised not to forsake Israel Deut 4:31 he then goes back on his word and does forsake them. But does he actually forsake them or does their sin have consequences; are they are reaping what they have sown? Here are some of those verses for you to check out – Deut 31:16-18; 1Ki 6:11-13; Neh 9: all esp30 ,31; Is 59:2; Is 54:8. Let’s look at how God dealt with Jesus because that has a huge significance for us and our lives. Throughout his lifetime Jesus made some interesting claims. John 10:30, “I and my Father are one.” That reality was never rescinded before, during or after the cross. In speaking of his coming death, Jesus believed the Father would not leave him to face it alone. John 8:28,29 Then said Jesus unto them, When ye have lifted up the Son of man, then shall ye know that I am he, and that I do nothing of myself…. 29 And he that sent me is with me: the Father hath not left me alone. John 16:32, Behold, the hour cometh, yea, is now come, that ye shall be scattered, every man to his own, and shall leave me alone: and yet I am not alone, because the Father is with me. Did God really turn his back on Jesus and forsake him or was something quite different from what the words seem to imply actually happening. I believe that something different was happening. Jesus perfectly fulfilled all the law and obeyed all Gods commandments so God couldn’t go back on his word and forsake Jesus. God said to the children of Israel that if they obeyed his laws then he would never leave nor forsake them (see verses earlier in article). Jesus himself believed the Father would not leave him or forsake him as seen earlier in this article. Jesus, as fallen man, was identifying with us, taking on our sin; our grief, our confusion and the inaccurate feeling of abandonment by God that mankind had suffered since the fall. He was not speaking out of his feeling of abandonment, he knew God was with him, he was speaking out of ours. You might be thinking but the Bible says our sins have separated us from God and hidden his face from us (Is 59:2) Note here it is sin that does the separating, sin that hides Gods face from us making us not able to see him1 not God hiding himself from us because of sin. It is sin that is the bad guy not God. God has not forsaken or abandoned us because of our sin. Another thing that was happening at that point was something that would be yet another indicator to all present there at the cross, that Jesus was in fact the Messiah, the long awaited one. A teaching practice in those days was that the teacher / rabbi would say the first verse (as we know them) of a Psalm or passage and the listeners would know what was coming, where the teacher was going by quoting that verse. Those words “My God, my God why have you forsaken me” are a quote of the first verse of Ps 22 – the prophetic, messianic, psalm of deliverance written by David that begins with that cry but goes on to say that God hasn’t despised him or his cry, he has not hidden his face from him, he has heard when he cried to him; and the passage ends with the declaration “they shall come and proclaim his righteousness because he has done it!“ In other words “It is finished” he has delivered us! David is telling us ahead of time that the Father will not turn his face from Jesus and Jesus refers the Jews back to that passage of deliverance by using this phrase. Most of those Jews listening would know that Jesus was referencing the entire passage especially any Pharisees or Sadducees there. They knew their scriptures and were familiar with the Messianic prophecies. For those that heard this cry aright, they would have heard that Jesus did not feel forsaken; they would have heard that he was proclaiming hope and deliverance. Yes there were some who did not get that, who thought he was crying out to Elijah but those possibly were not even Jews and while we can’t know that for sure we do know that there were many people there from different nations. Any Jew listening would have known that Eli means “My God” not “Elijah” so they would not be likely to have made that comment. Now to the other question – will God forsake us? I recently received an email from a woman who wrote that she had been through a hard time over the last few years, losing their business and much more in the economic crash. A friend had that day given her a verse (to help her make sense of her circumstances). It was Isaiah 54:8 – In anger I turned away from you for a moment etc. As his children, does God get angry with us and forsake us this side of the cross? 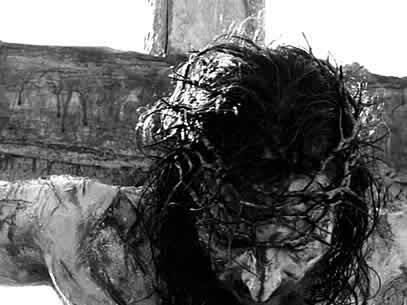 No he doesn’t ever forsake us, not for any reason! What about when we sin? In Jesus God forgave every sin even future ones. To be honest, when Jesus died, every sin you or I would commit was a future sin. And God forgave us ahead of time! Even when you do sin today you are already forgiven and there is no condemnation (Rom 8:1). God cannot condemn you, to do so would mean he would have to discount Jesus work on the cross. He cannot turn his back on you – to do so would be to deny his word and he would have to take back his forgiveness, making him a liar. You are forgiven, totally, eternally already forgiven! My thoughts are that those verses from Isaiah have no place in a New Covenant believers life other than to show us how different our covenant is to the old Covenant that God had with the Jews. As New Covenant believers in Christ it simply isn’t true of us in our relationship with the Lord. He will never leave us, forsake us or turn his face from us because of anger toward us! He says in Matt 28:20 Lo I am with you always, even to the end of the world. And in Heb 13:5 …for he hath said, I will never leave thee, nor forsake thee. Scripture is clear that we are now joined to God in such a way that we are one spirit with him – 1Co 6:17. God cannot separate Christ or us from himself – we are now in Him and one spirit with him. Nowhere in the New Testament does it say that God will or does forsake us. That God will forsake us is a strategically planted lie of the Devil who delights in blinding us to the truth in scripture and the truth of who God is. He will never leave us nor forsake us. He will not turn his back on us or abandon us in our hour of need just as he did not abandon Jesus. God’s promises to us of his continuing presence, goodness and provision for every area in our lives are too numerous to mention here, but I want you to know that if bad things do happen to you or you do sin, God has not and will not ever leave you or forsake you. He longs to give you peace, wisdom and strategy for your circumstances and to turn your circumstances into good for you (Rom 8:28) because that’s who he is and that’s what he has promised! It’s all very well to say we trust God but do we really? I suspect that your life is probably like mine to a degree. I say I trust God then I go and worry about whether things will work out how I hope they will. Learning to trust God has been a journey for me. Growing up in a life where I felt I could trust no-one certainly didn’t prepare me in any way for trusting God. To start with I had to just take him at his word (in the Bible) and also rely on other peoples testimony of his faithfulness. That time spent in scripture looking up verses relating to his faithfulness was an absolutely crucial part of learning to trust him. Seeing how God came through in the lives of those recorded in scripture told me that if he came through for them he would come through for me. And over time I began to build my own record of God coming through for me in different situations. So fast-forward to now – I was thinking about faith and trust the other day and how they are linked. The thesaurus says other words for Faith are – trust, belief, hope, conviction, expectation, reliance, dependence. Faith is linked with Trust! When I saw this it sparked some thoughts that I spent some time mulling over. So it’s that trust aspect of faith that I want to talk about here today. Faith is so much a part of our life with God. The Bible even states that without it it’s impossible to please Him (Heb 11:6); so it’s a pretty important thing to have established right in our life. If faith is linked to trust then how much do I really trust God? What is that trust built on? How do I know He’s trustworthy? These and many other questions have invaded my mind and sent me on a journey of discovery. Our faith is built on the foundation of the trustworthiness of God. We long to see ‘God be God’ to us and through us and for this happen we must settle the trust issue to be able to walk in the kind of faith that pleases Him. We say we have faith and trust God but do our actions, attitudes and responses line up with our words? It is these things that really show how deep our trust goes. How often do we make snap judgments and decide to trust someone we have known for a couple of seconds yet struggle to trust the God who has proved his faithfulness and goodness over many years or even generations? Trust can be a very subjective thing. What do we base our trust on? Is it a snap judgment on our part based on how someone presents themself to us, their appearance, demeanor etc? Is it made up of assessing someone’s track record and seeing their trustworthiness or just blind acceptance? In a counseling course that I attended a while ago the lecturer said that 95% (or more) of people do not have an adult way to assess who is trustworthy and who is not. Most of us simply assess trustworthiness based on our feelings (instincts) or our response to our dealings with people. Trust is – loaning power to another. To trust means to give ones safety and future to the judgements and decisions of another. Trusting means being vulnerable to someone else’s choices and thoughts. So trusting is therefore risky. The alternative to trust is avoiding any form of loaning of power to another which results in attempting to control lives, both your own and others. Check yourself out. Has God proved his trustworthiness to you or are you being lied to by your own bruised feelings and echoes from past hurts? Your ‘stuff’ from past betrayal may mean that in reality you trust no one, not even God. God does not mean us to go through life not trusting others and he also doesn’t mean us to go through life trusting unwisely those who don’t deserve our trust. But He does mean us to go through life trusting Him, the one who is worthy of our wholehearted trust and faith. So how do you assess trustworthiness – I think some of the same ways you assess trustworthiness in people can also be applied to firming up our trust in God. Do you believe God is good and God is love? Because if this foundation isn’t there you will never be able to believe God can be trusted. Examine God’s track record – Is there a history of reliability, faithfulness and integrity? Listen to the testimony of others who are trustworthy. What do they say about his track record of dealings with them? Can you trust Him with what you share with Him? Will He use it in a way that will harm you? Is He forgiving? Does he hold grudges? Is he truthful or is he a liar? Is he who he says he is? How does He treat His family? How does He view His stewardship as our King or Father? What is His attitude to His children or to those outside his family? Is He Love and is He loving? If He is not Love then none of the above criteria can ever apply and He is not worthy of trust or belief but if He is, then we must settle that in our hearts and know that He is utterly trustworthy; so we can believe and have faith in whatever He says to us. I have come to realise that while I trust God in most areas of my life there are still others where my responses are sometimes at odds with my words. I have discovered that the lack of trust in those areas stems from my past, not His character or lack of it. Are you the same? Are there areas where your past fights against your ability to trust God? Realise that God has made provision for healing every area of your past in Christ’s work on the cross. Allow God access to those areas to heal them and choose to trust based on what you know of His love, faithfulness and trustworthiness. As we do it will build a stronger faith and trust in Him. Our faith will then have a foundation that will not be shaken easily by the storms of life or the faith steps God asks us to take. Our walk will be transformed as we step out in supreme confidence knowing that the one who is supreme can totally be trusted to do what He says He will do.